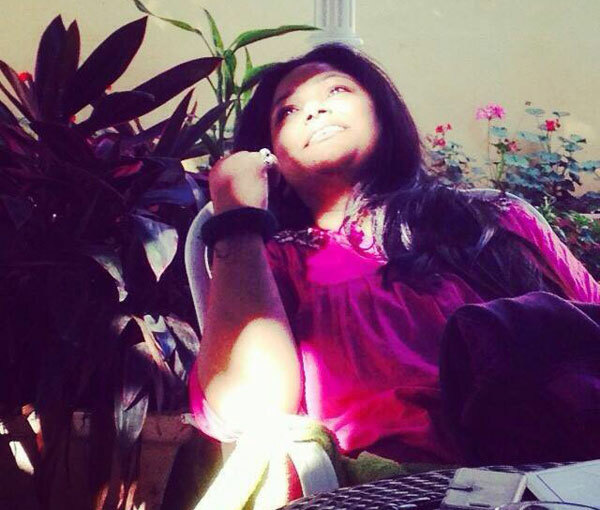 Neerushaa Nikhat’s creations are moments…you can’t help but pause and admire those moments. Thirteen years into her career and this talented designer’s aim remains to take her audience on a journey through her beautiful costumes. With almost 40 awards under her belt, Neerushaa has created costumes for a vast genre of shows ranging from fantasy (Hatim), historical (Maharana Pratap), mythological (Devon ke dev Mahadev) and drama (Baat Humaari Pakki Hai). Fantasy shows are her forte and that comes as no surprise since she loves experimenting with her creations! 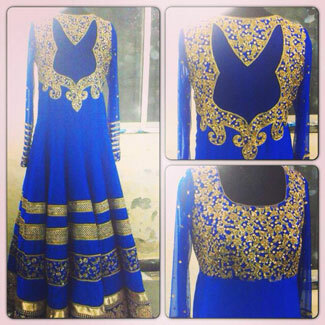 Neerushaa’s sheer creative talent is evident in each of her creations. Her costumes are wildly elegant, bold theatrical and carry nuances of rich, divine colours. 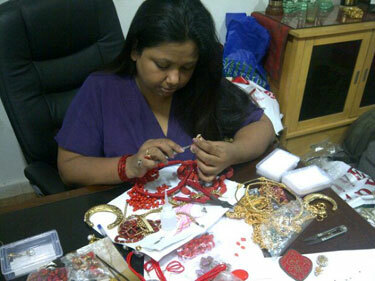 Tinsel Gupshup brings you Neerushaa Nikhat – the woman who weaves magic through her creations. TG: How did your journey begin? NN: See, I am not from the fashion industry. I came to Mumbai to be an actor. Costume designing happened by chance…in fact it happened because I had to survive! My first job was as an assistant to a costume designer on a show. I was really good at my job because I am a creative person. I am very artistic so I enjoy creating, whether it is interior designing, styling or even cooking. So, that first job was for survival. People really appreciated my work. Now, something happened and the designer on board messed up with the clothes and that affected the shoot. So, the creative team asked me if I could make those costumes and I did…overnight! They loved my work and one of the producers’ called me up and offered me the opportunity to design costumes for his show. He said that he would only pay me if he liked my work. It was a challenge so I asked him for two weeks. I was confident that he would love my work. So I got to work, created the costumes in two weeks and they came out beautifully! All my costumes were approved and that show was Hatim on STAR plus, 10 years back. That was my beginning and from that moment…I have been designing costumes for shows. 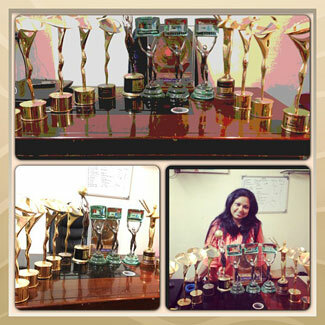 I received an award for my creations in Hatim and now…I have around 40 awards. NN: Yes, Hatim was a fantasy show. It was definitely a very difficult project. See, I have a background in theatre. When we are backstage we work very hard on costumes, hair, styling, makeup etc to develop a character. Theatre really pushes you because it is not just about acting and performance. You have to give a live audience an experience and that includes costumes, props etc. So, theatre taught me a lot about what goes into making a character come alive. Hatim made me realize my own potential as a creative individual. TG: Can you tell us a bit about the process you follow when you start designing for a show? What really goes into creating clothes for a show? NN: When a production house calls me up, I’ll set up meetings so I can find out about the show. Basically I am interested in finding out about the characters, how many characters there will be, their age groups, their complexions, their role in the show etc. We have numerous meetings where we go into the minutest details about the characters. You have to understand that we don’t just design costumes…we design the whole character! We have to discuss everything from shoes, makeup, jewellery, head gears etc. We’ll decide whether a male character will be wearing a moustache or a beard, we will get into details about the female character’s hair style…we have to design the look of a character from head to toe! Once we have these details down, we will start putting up our presentation on a board. We start discussing the budget and then we go into more meetings for approvals etc. TG: When you start designing the costume for a character, do you get influenced by the actor or actress playing the character? NN: Oh yes…a lot. There are a lot of aspects that have to kept in mind during the process. I do have to consider an actor’s personality, build, height, complexion etc. You know most of the times, an actor gets locked for a character quite early on but it takes more time to finalize the actress. So, we start designing the costumes but there have been times when we had to change all the costumes after they had been designed. For example, we had already designed all the costumes for the eldest queen (Jija sa) in Maharana Pratap. All those designs had been approved and locked. However, when the actress playing the character was finalized, I had to go back and change the colour palette of all my designs. Rajshri is a beautiful and dusky complexioned girl, so I went back to my designs and changed the colours to suit her height and complexion. Apart from that, some actresses’ are not comfortable showing their waist, they don’t want deep necks or they have certain limitations. So if I have designed a blouse with a low back and the actress is not comfortable wearing it, I will go back and change the design. I have to make sure that the actor or actress is comfortable in the costumes we design. TG: You have designed costumes for many shows…was there one particular character or show that you found really challenging to design for? NN: Each and every show I have designed for has been a challenge. I don’t just design costumes for characters, I believe that I create moments and that is a challenging task. If you look at my work, all my shows look different. I don’t repeat my costume style so be it Maharana Pratap, Hatim, Baat Humaari, Veera, Mahadev…all my characters look different. Hatim for Life OK has been a challenging show because we were given a timeline of 22 days to create more than 100 costumes! All the costumes were supposed to be lavish and grand and we had to take care of weapons, armory, head gears, swords, jewellery, leather work…it was a massive task and we had very little time! 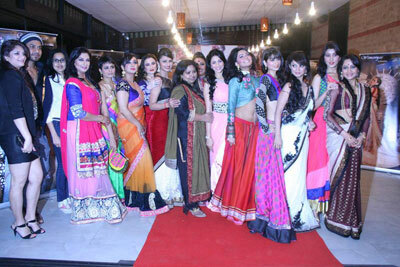 TG: When we watch a show on TV, most women on the show will be wearing saris or churidars etc. As a designer, do you believe that the clothes can portray the personality of an actor / character? NN: Hmmm, let’s take Veera as an example. 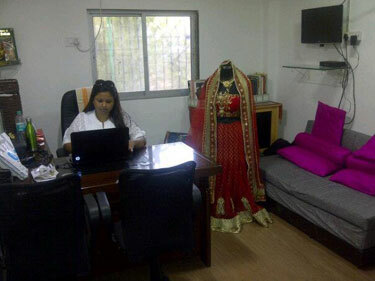 The show has its roots in Punjab so I need to add flavours of Punjab in the costumes I create for the show. If I don’t add Punjabi touches in the costumes, how will people know that this show is based in Punjab? You know, I believe that the aura and the atmosphere in a story are created by the costumes. You can actually tell a story through the look of a character. In fact, when you see the promo of a show for the first time, you can actually get a feel about the story, the characters and the quality of the show through the costumes. This is exactly what I meant when I said that I create moments. TG: Sati has been the most ethereally beautiful characters’ on television. How did you come up with her costume and look? NN: I thoroughly enjoy working on mythological, historical or fantasy shows. When we design for fantasy shows, we have a free hand and we can design using our imagination. Mythological shows are different because we do have scholars or researchers who help and give their input. Also, when we work on mythological shows, we are dealing with characters that have a public or poster image. Everyone has an image of God through pictures, paintings, books, calendars etc. People who watch these shows have their emotions attached to God so we have to be very careful that the Sati and Mahadev we create are accepted by the people watching. For Mahadev, I did a lot of research with calendar art and that gave me a foundation for my designs and creations. We can elaborate on our designs at any time but it was crucial to get that first point of reference right. Now, in terms of Sati, we always wanted the character to look very feminine and ethereal. At the end of the day, you work long hours, come back home and turn to television shows to unwind. As creative people, we need to make sure that our viewers stay tuned to our show and not change the channel. Each and every channel has numerous shows and we need to try and get maximum viewership for our show. So, we have to introduce drama, action, beautiful characters, charm, sexiness, breathtaking sets etc. Television is an extremely competitive industry and we do take certain liberties but we are also careful not to hurt anyone’s sentiments when we present our characters. TG: I have always wondered. With Sati, she had quite a beautiful wardrobe and different colours, costumes. When we came to the Parvati track, you stuck with the Cream and Red sari…? NN: Ahaa! Ok, Sati is a fictitious character whereas Parvati is a Goddess. Now, with Sati, we don’t have any mythological references so we could play around with her look. On the other hand, for Parvati there is a fixed image in people’s minds because you have seen her in paintings, in temples, in calendars etc. Even in terms of Mahadev, Vishnu ji, Brahma ji – we know what they look like because we have seen their idols and images everywhere. TG: When you design for a show, do you have to pay special attention to the fabrics you use? NN: Oh yes! Fabrics make a design come to life. You draw a design on paper and the fabric you choose will make the design real. So, if you choose the wrong fabric…no matter what you have designed, the final product will be completely wrong. Secondly, for daily shoots, fabrics are very important because we take one costume and use it for 6 months. So the fabric has to be durable, the colours should not fade etc. Every single thing about a costume depends on the fabric. TG: We have spoken about the process you follow when you design. What really motivates you in your work? NN: See, two things are very important in my work. I am very particular about whom I work for…my motive to work and that means the actor or actress I will be designing for. Those people will take my designs to a whole new dimension, so if I don’t take care of their body or complexion then my design will fall flat. The second factor is – what am I designing for? Now, who I am designing for is decided by the channel, the producers and Hundred other people but what am I designing for…is totally in my hands. Over 13 years, I have designed for more than 17 mythological shows. How many times can I make Indra Bhagwan or Vishnu ji look different? If Vishnu ji wears a dhoti and stole then I have to design a dhoti and stole but my detailing makes each show unique. So, I could be lazy and keep repeating my designs in every mythological show but I pay attention to the tiny details in my costumes and accessories. You know, to think of something different and make it unique each time…that motivates me. NN: Oh so many times! I don’t really watch television but I do try and catch as many shows as I can on YouTube. If I work in this industry then I need to be aware of what is going on. There are so many fantastic designers in the industry and every designer has a vision for their show and characters. Having said that, sometimes I can see the compromises that are made on the character’s costumes. For example, I believe that I could have done a much better job on Jodha Akbar. It’s not just other shows, I look back at some of the shows I have designed for and cringe because now, I feel I could have done better. For example, I designed the costumes for Maharana Pratap’s pilot episode. It took almost 2 years for the show to start because of approvals etc. So, when the show aired on television, I watched the pilot episode and felt ashamed because I kept thinking…oh my God…is this my work?? Every single day I grow, every day I learn and every day I execute new things. It is a part of who I am…I have to grow and learn to move forward. TG: You have designed for mythological shows (DKDM), Historical shows (Jhansi ki Rani), Modern stories (Miley Jab Hum Tum), and saas bahu soaps. Can you tell us about your experiences in all these different genres? NN: Ummm….let me think. I am a very free person, I don’t mind consulting but I don’t like any interference in my work. We will design, make the costumes, have trials, redesign but till the point the show does not go on the floor and in front of the camera…I am not satisfied! If people hire me then I want them to give me freedom. So, keeping that in mind, I love designing for fantasy shows because that gives me open skies. There are no restrictions, I don’t have to look for references or do any research. I am passionate about designing but in terms of forte, I would love to do more fantasy shows. You know, in a month, I get more than 20 offers but I reject almost 17 because I don’t like to work on a story, project or look basis. So, I’ll take 1 or 2 shows and work round the clock…no sleep...no rest! So, if I am doing a show, I put in 100%. Money cannot keep you in this business. You might make designs for one show and then use your connections to get more work but nothing speaks better than good work. You can make money from one show but if you are good then money and work will flow in automatically. Money cannot get you work but work can get you money. TG: You work with so many people – channel producers, actors. Do you face creative differences? NN: Hmmmm….I can answer that question in one line…no one hires me happily! No one in this industry hires me happily! Everyone knows that this designer will not listen. The channels know that I will fight for each and every thing. I am proud of my work, I know my strengths and I am in this industry to work…not to have fun or make relationships! TG: A few months back, I read a comment. You wrote that you have won so many awards, your work gets so much recognition but at the end of the day someone referred to you as a darzi. Do you think costume designers get their due in the industry? NN: No! That is my grudge with the people in this industry. You know, there are fashion designers and stylists and it is not in my realm of work to try and make them understand my work and my vision. I know my job…I will do my job, let me do my job…I can handle my job! Right now, all the designers in this industry work with highly qualified tailors. Sometimes, people who don’t even know the ABCD of fashion will come and tell me – please change the piping, please change the buttons, please change the embroidery! As a costume designer, I will never tell the writer to change the story but I feel that everyone tends to interfere in the costumes department. If a designer is not doing a good job, then by all means let them know but if I am good at what I do then just leave me alone and let me create. I know how to earn respect for my work. At the moment, costume designers do not get their due in the industry and some people really do treat us like glorified ‘darzis’! I think it will take some time to change the way people think in this industry. I have been in this industry for 13 years and every single morning I am charged up to go to work. What a pleasure to read! 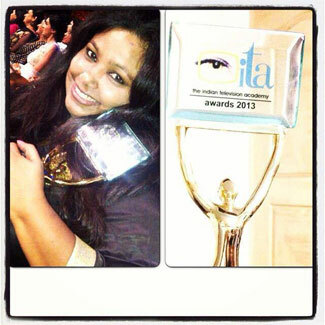 Love Neerusha's work in DKDM and Veera. Glad you asked about our fav Sati too! Has she closed her store though? This was really a treat for her fans... m so happy coz i olwys wanet 2 know how she do ol the task well... thnx for this ... neerushaa mam u rock!! !